Some impressions from the event. 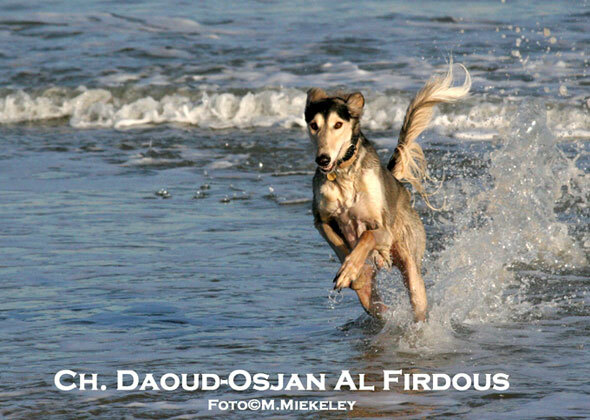 Daoud has met his Saluki friends Jûma und Haniya at the beach during his July vacation. The humans had a lot of fun watching the running and playing dogs. Now also the visitors of this site will have the opportunity to take part in this joy. 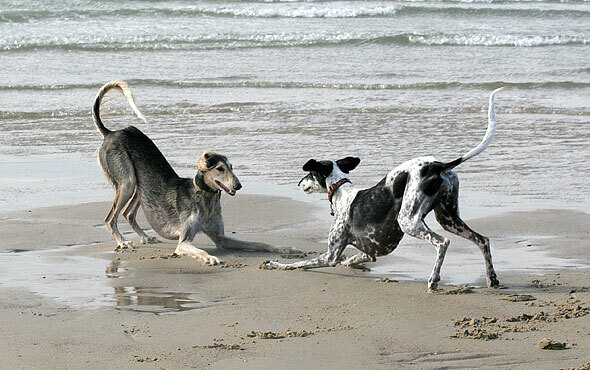 I'm sure everybody will agree that these three running Salukis are a sheer pleasure to watch. 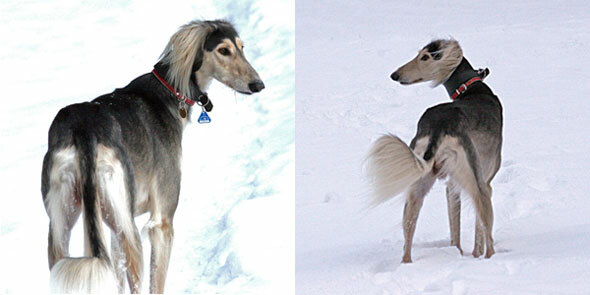 Is there anything better than watching a Saluki running? Running on the beach - my Daoud's favourite! Please also check a video clip with further impressions. 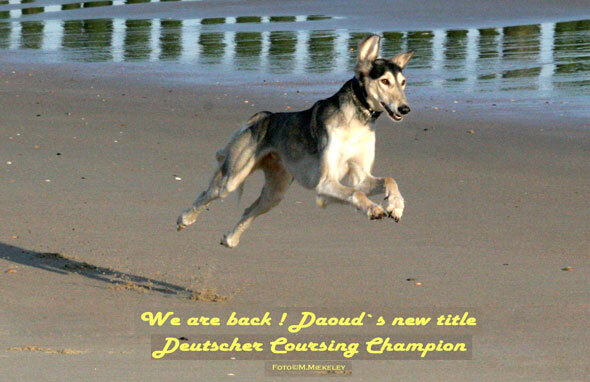 Daoud just became German Coursing Champion! New section about Daoud: Merits and Awards (currently in German only). 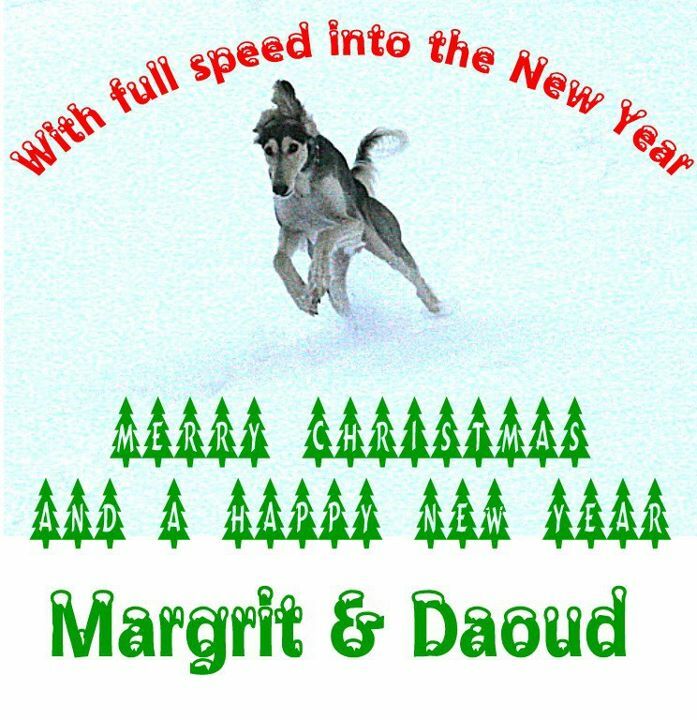 Dear Friends, we wish you A Happy New Year and all the Best for 2012.
thank you for all your Season-Greetings and good Wishes for 2012. 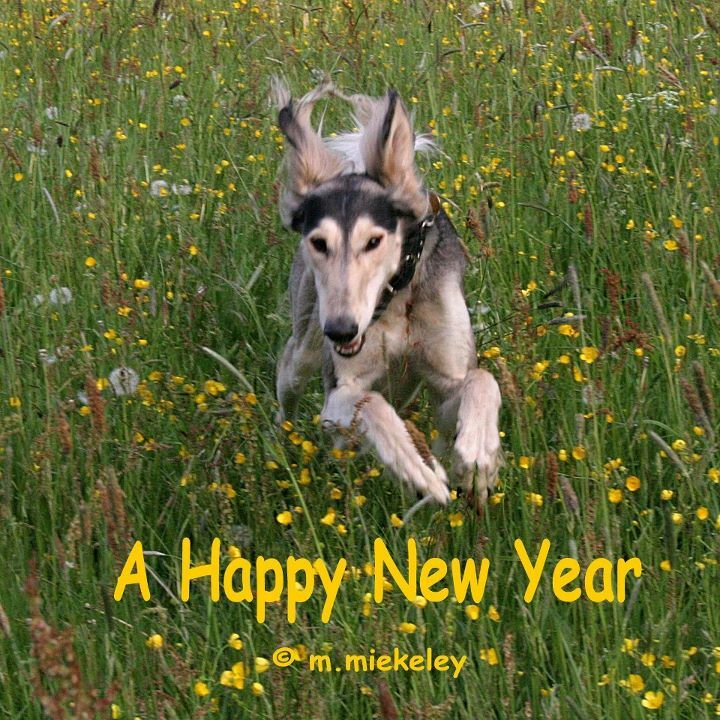 We wish you and your 4-legged Friends the same and above all good Health !! My list of publications has been updated. 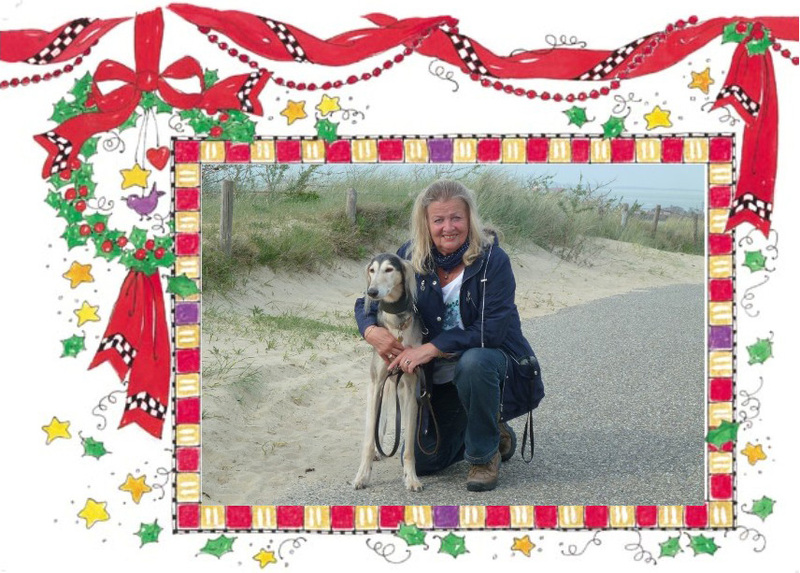 Also my article "Hounds are more than man’s best friend" has been put online.